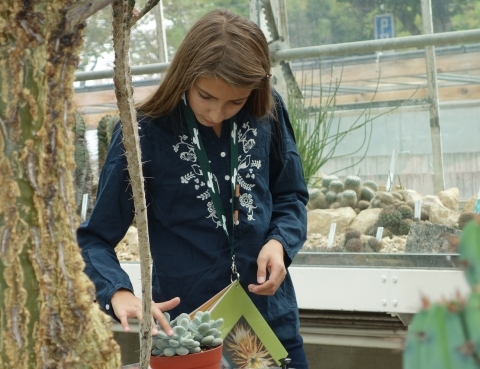 The Zurich Succulent Plant Collection is the home of one of the largest and most important speciality collections of succulent plants (succulents store water in leaves, stems or roots and grow in arid and semi-arid regions. 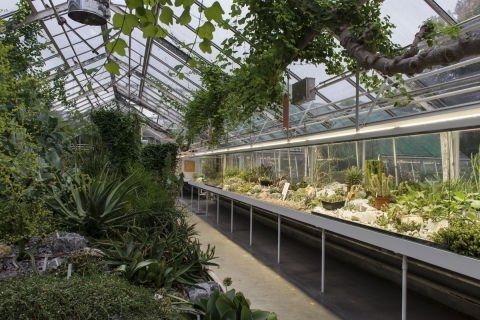 There are about 4'500 different species from 78 plant families in the Collection. You can experience this diversity for yourself in seven greenhouses as well as in cold frames and a rockery under the open sky. Join us for an exciting trip around the world. View into the Africa House. 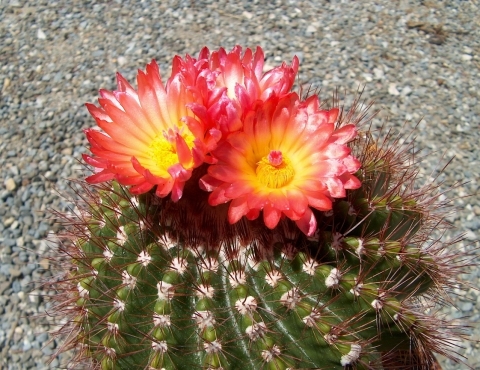 The colour mix of Parodia purpurea make a big impression. You can discover the phenomenal adaptation strategies developed by plants and the ways in which they conquer space by creeping, climbing or flying. Be faster than the competitor, conquer new places with seeds, or firmly anchored with tendrils are important characteristics to survive.